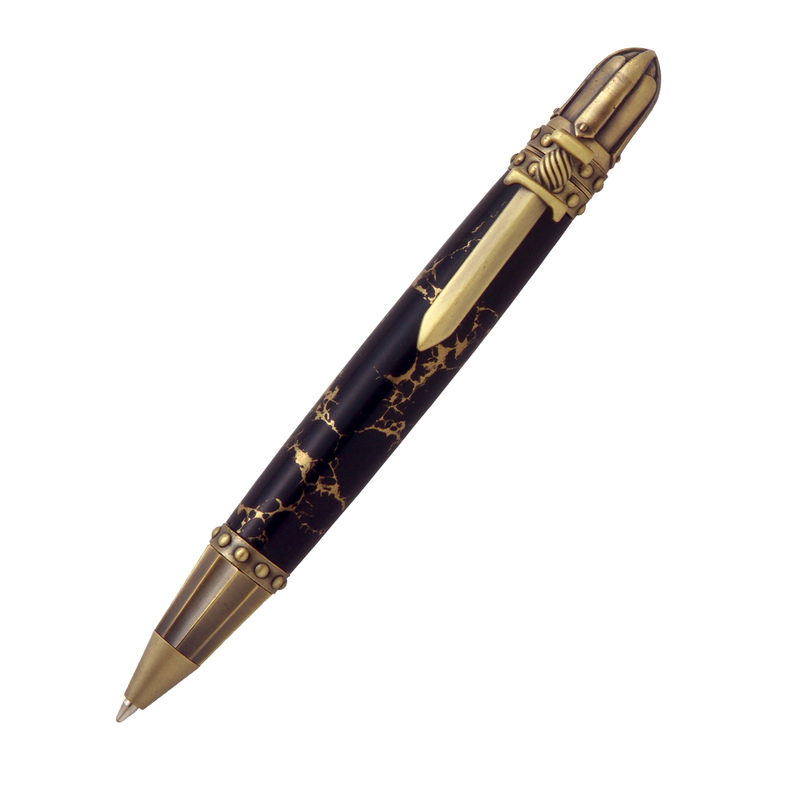 Knights Armor Twist Pen in Antique Brass [PKA110] - $38.11 : AnkleBiter Woodworks, When all else fails, send in the dacschund! Here is the perfect gift to conjure up the knights, soldiers and kings of medieval history and the lore of the battlefields of the Middle Ages. The meticulously handcrafted components feature period armor adornment including a medieval sword, a hand riveted replica knights helmet with a dome recess on the end, plus a fluted armor design on the pen tip. The rustic, authentic look of this antique brass will pair beautifully with any wood blank. We have taken quality brass plating and chemically darkened it to simulate aged brass, which results in a gorgeous, long lasting brown plating with golden undertones. Smooth writing performance with a Parker style refill.